Eyes and hearts are opened to a truly foreign land, an age-old culture, and genuinely hospitable people on this singular small group tour. 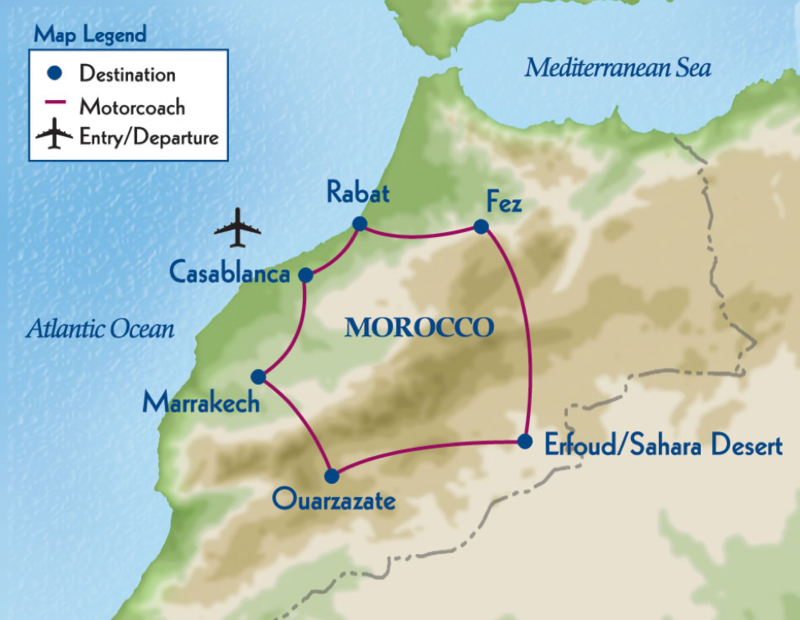 A 14-day exploration of this land of dramatic contrasts takes you from seaside Rabat to the desert towns of Erfoud and Ouarzazate and through the snow-topped High Atlas Mountains. 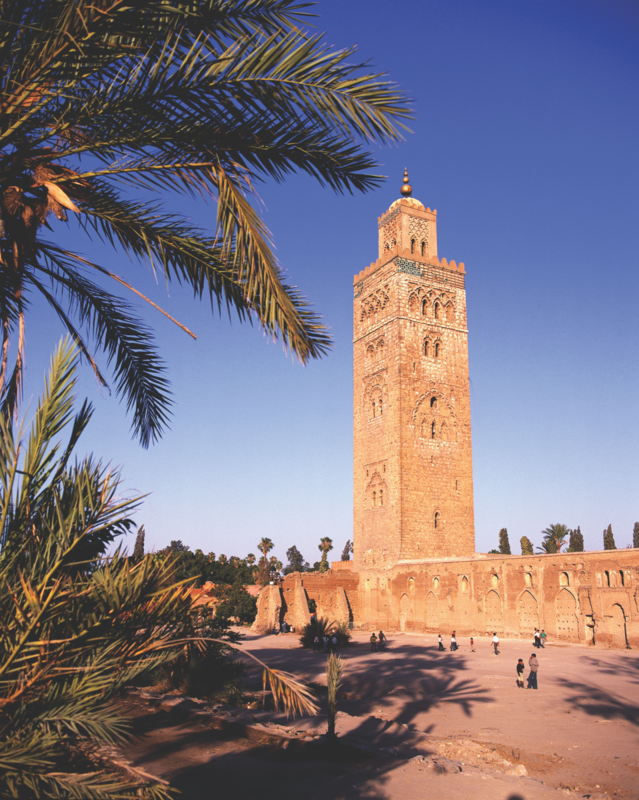 In a journey featuring the many cultural treasures of Fez, Marrakech, and Casablanca – and five UNESCO sites – encounter Roman ruins, an ancient caravan route, and medinas bustling with snake charmers and spice merchants. 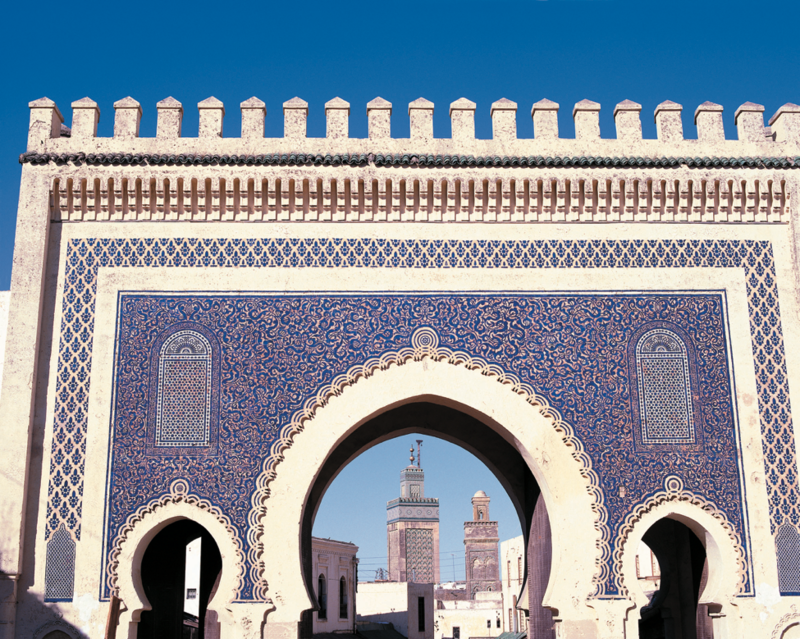 Dine with local people in a private home and in a family-run riad. 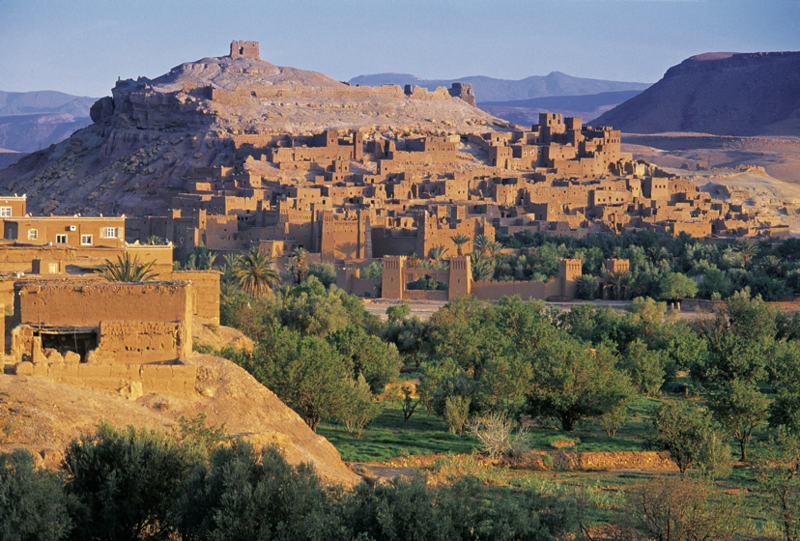 Admire dramatic Todra Gorge and stop at Ait ben-Haddou, famed as a location for film shoots. 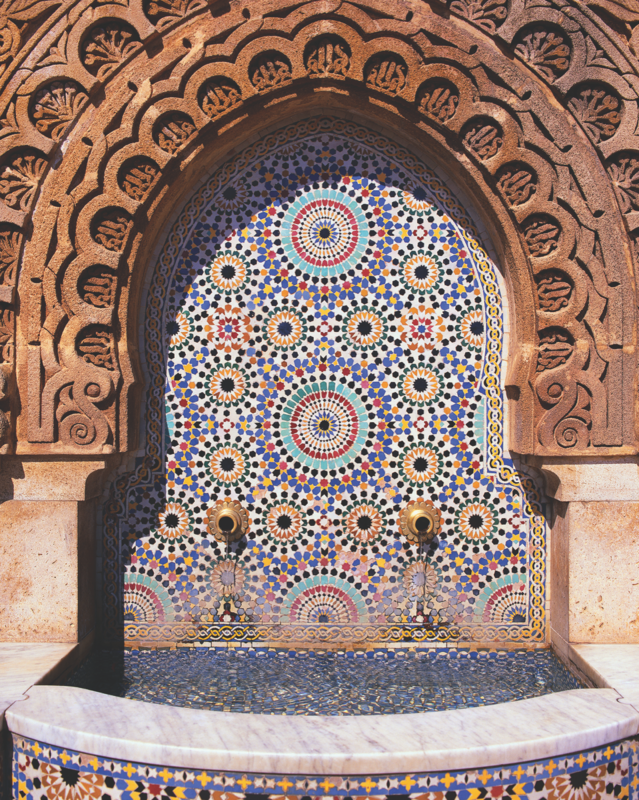 Visit the world’s oldest continually operating university, and one of the world’s largest Islamic houses of worship – magnificent Hassan II Mosque. Riding out on camelback to the Sahara, watch the sun set over the breathtaking dunes.